On Friday, March 18, 2016, WISC-TV3 profiled Xia Vang, MD, who matched at the UW Department of Family Medicine and Community Health’s Madison family medicine residency program. 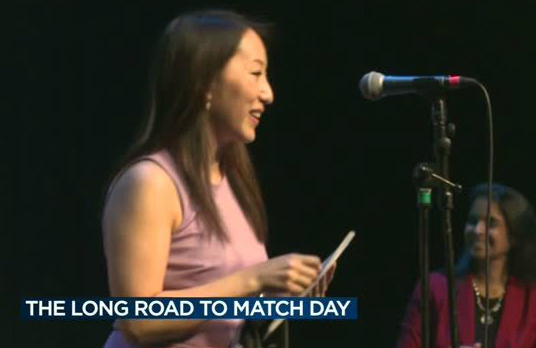 MADISON, Wis. – It is called Match Day and on the same day, at the same time medical students in the United States open envelopes to find out where they will do their residency. Some will stay in the communities where they went to medical school while others travel far. It is likely that few traveled further in life to get to this day than Xia Vang. “I grew up in Milwaukee, but I was born in Thailand in a refugee camp,” says Vang. Her family fled to the refugee camp from their home in Laos to avoid a war. The family lived in difficult conditions in the camp for years, but it offered them food and water, as well as safety from the war.